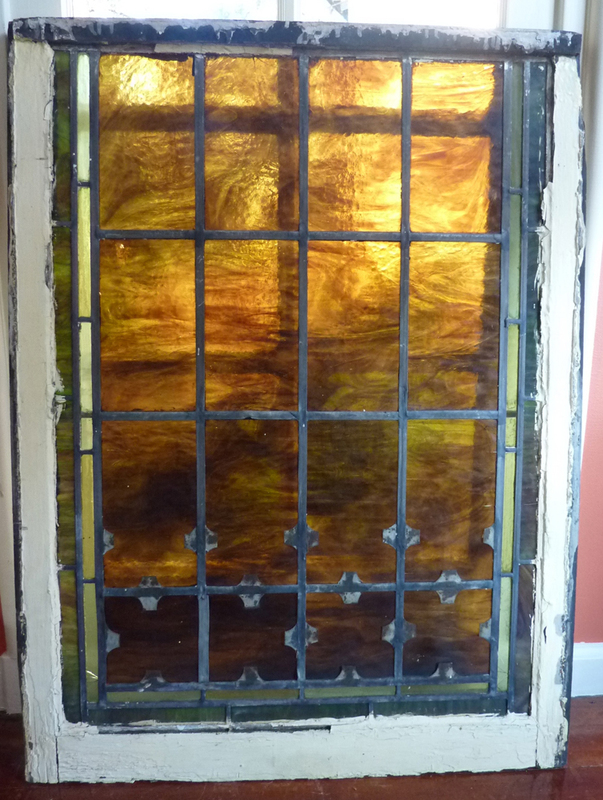 This absolutely gorgeous antique amber-colored stained glass window will be perfect as a decoration accent in your home. 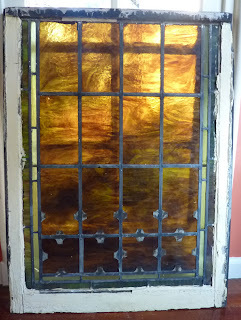 The amber colored glass is actually one enormous piece of glass held in place by the lead grid. There is a small, nearly invisible crack at the top left, and one at the bottom left. Approximate dimensions: 29 1/2 W x 39 3/4 H.